Herzogenaurach, Germany : adidas introduces an update to its market leading adizero Ubersonic shoe range for the 2018 tennis season, with the new adizero Ubersonic 3 set to be worn on court be leading players as Lucas Pouille. Featuring updated technical features and a new design, offering increased stability and comfort while retaining its light and fast feel that the shoe franchise is known for. From concept through to manufacturing, the adizero Ubersonic 3 is designed to be extremely light, flexible and durable. This futuristic version of the adizero Ubersonic comes with a porcelain-like midsole and a brand-new silhouette that combines clean optics, wearability and performance to help the next generation creator better express his fast and fearless attitude. The shoe features an interlocking fibre technique and dyneema thread to make the adizero Ubersonic 3 shoe more breathable and stable. The shoe also includes a PU midsole covered in a beautiful and thin porcelain-like foil that brings the athlete closer to the court. A long lasting cushioning and hexagon texture adds the finishing technical touch, bringing stability and comfort to the shoe. The new adizero Ubersonic 3 will be available from 3rd July 2018 at http://www. adidas.com/tennis. 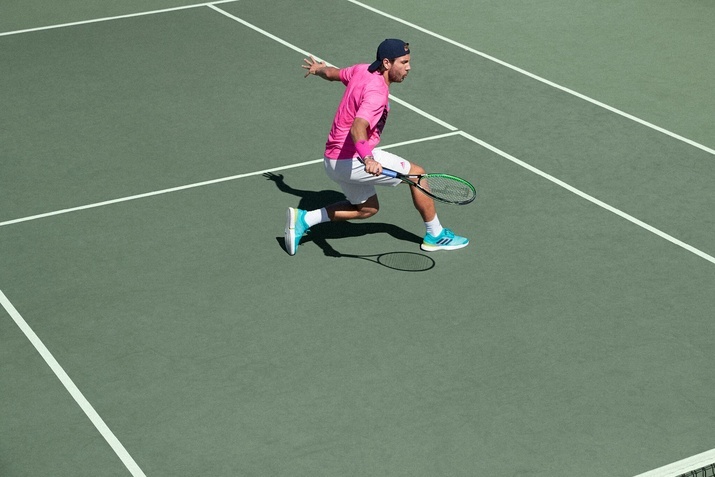 Follow the conversation at @adidastennis on twitter.